It is often said that borders are withering away, that we are in a new era of state sovereignty. Duvall and Wendt wrote the best treatment on this (in my eyes) suggesting that our view of sovereignty is terrestrial and likely countered by the forthcoming era of UFOs (or terrorists, depending on how you read the article). Duvall and Wendt, however, ignore that there is a flying object that has disproved the effectiveness of borders for centuries now: Santa. Through his travels west from deep in the Pacific Ocean all the way to the West Coast of the United States, Santa is the prime example of the challenges of the construct of state sovereignty and its enduring nature. Santa does not have an easy ride. Let”s face it, Santa is an American. Sure, he originated outside of the United States, but the U.S. is a nation of immigrants, and there”s a lot about Santa to suggest he now is made in the USA. Santa indulges in rampant consumerism, unerring belief in right and wrong, advanced technology, and enslavement of the elves – all traits that point to his true American nature. But importantly, Santa has a politically-unaware sense of entitlement to cross all state borders anytime, regardless of invitation. This is the definitive identifier of Santa as an American and a believer in American exceptionalism. So, tonight, Santa will set out on an around-the-world trip without concern for who will accept his passport and how he will interact with the people in the very diverse corners of the world that he visits. And why would he? He”s the world”s best “good guy,” he knows what everyone wants, and he sees himself as generous to a fault. Why wouldn”t everyone celebrate his arrival and treat him like the Saint he is? Of course, when Santa is on the news tonight, his trip will be broadcast as an incredible success, where he was greeted by all of the people around the world with joy and celebratory thanks. He and his reindeer will be praised for their magical delivery of all the presents. RelationsInternational started thinking, though – how might an American flying reindeer team and jolly fat white man be greeted if he did fly around the world in 2014? We suspect that things would start to go wrong near the beginning of the trip, around Australia – where Santa”s choice of green transportation (reindeer fueled sleigh) and resultant rejection of carbon fuels will cause conflict with Prime Minister Tony Abbot. Santa, however, would fail to see what the issue was, and continue flying his reindeer across Australia. Santa”s trip would really get hairy, though, when he started trying to violate airspace in Asia. 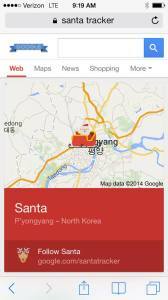 Whomever decided Santa would fly over North Korea should be fired. The intelligence failures of Santa’s elves will require a Congressional investigation at some point. As Santa is heading over North Korea, Kim Jong-un personally orders his sled be shot down and Santa captured online casino gids in ransom for the movie The Interview since Sony is persisting with its distribution. Thankfully for Santa, he is narrowly missed by missiles he does not notice, and continues. Santa”s continuation through China goes well, since the United States government and China have worked out all possible issues behind closed doors. 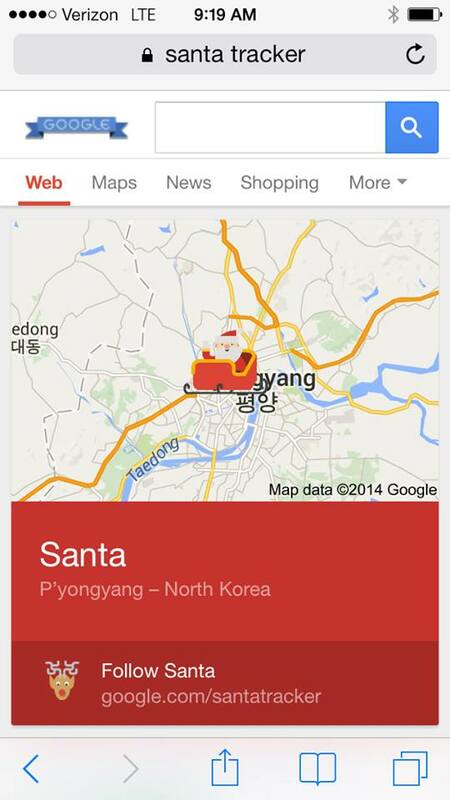 Santa can just go into China oblivious to all of those negotiations, but with strict instructions. We think that Santa will visit the upper class of the Chinese Communist ruling party, avoiding the poor and various ethnic groups causing problems for the Chinese state. In a completely unrelated move, we believe that Santa has entered into an economic agreement to have some elves outsourced to China. Elf morale as at an all time low, but there currently is training operations going on to reallocate the elves to insurance, computer security, and rapid tactical response teams. Santa does have a smooth time in Russia, where Santa”s interest in benevolent-appearing distribution of useless presents aligns with Putin”s interest in distracting Russian people from the declining economy with benevolent-appearing useless presents. Still, Santa does have trouble after he thinks he”s left Russia, as he is fired upon by Putin”s rebel associates in Crimea enforcing a no-fly zone. The reindeer bust out surprise defensive countermeasures, with Santa being able to continue on his all-important mission. Like most Americans, though Santa does not have a great awareness of borders or the intricacies of international relations, he does however have strong opinions on the hot-button issues of our times – like the Europeans” harboring his evil cousin, Krampus. To neocon Santa, the UN, NATO, and our unfaithful European allies are the source of many of America”s troubles, and the Krampus-harboring is only a symptom of the problem. Santa skips Europe in protest. If Europe is unpopular with neocon Santa, the Middle East and North Africa looks good this week. To Santa”s surprise, he is welcomed with open arms in Iran – apparently he is among many Americans who missed one of the biggest news stories in 2014 – US-Iran rapprochement. We imagine he reverses his automatic-coal-dump on Iran in just enough time, and saves it for the rebel held regions of Nigeria. Santa is the only Western “international actor” to have acted against Boko Haram. A jetlagged Santa finally makes it across the Atlantic Ocean, and narrowly avoiding quarantine for the Ebola he had no risk of contracting anyway by going South before he went North. Santa, tired of long working days, stops in Buenos Aires for a steak and some Malbec (cookies get old) before working his way through to Cuba, thanks to another recent rapprochement. Santa”s stop in Cuba goes well, but has reverberations when he arrives later in the evening in DC. Santa brings Cuban cigars for Congress, of course. This is a politically fraught choice of gifts, though, and despite his American nationality, Santa is attacked by the GOP for his clear support of the Cuban regime and Obama’s policy. Santa heads West quickly to avoid the venom in DC. Though Santa ignored poverty many places in the world, Santa grows a social conscience somewhere around East St. Louis, Illinois – where he gives some extra gifts in lieu of the ability to control real economic recovery, social injustice, and political repression. On a somewhat lighter note, we see Santa”s journey continuing through Eastern Texas, where he is shot at constantly due to supposed invasion of private property. Santa avoids getting shot, and spends some recovery time in Austin spreading Christmas cheer to the hipsters and feeding the reindeer breakfast tacos. Breakfast tacos are awesome. Finally, Santa journeys from Austin to Hollywood, spending a bit of extra time with the Sony employees who are cowering in fear due to North Korea’s cyber attacks. His present to them is a good Infosec officer and the restoration of their email system. In return, we all get to see The Interview. Unfortunately, whomever greenlit a new version of Annie gets a massive chunk of coal, right on top of their Bentley. Then Santa waits for his Prius to be pulled around, ready to rest 364 days of rest while his underlings and the Chinese prepare for next Christmas eve.